55,000 people live in Silwan, a beautiful but run-down area of East Jerusalem, close to the walls of the Old City. Its name comes from the Greek Shiloam whose pools are mentioned in the Old Testament books of Nehemiah and 2 Samuel, as well as in John’s Gospel where Jesus heals a blind man. It is perched precariously on steep slopes along both sides of the Kidron Valley, above the Gihon Spring. 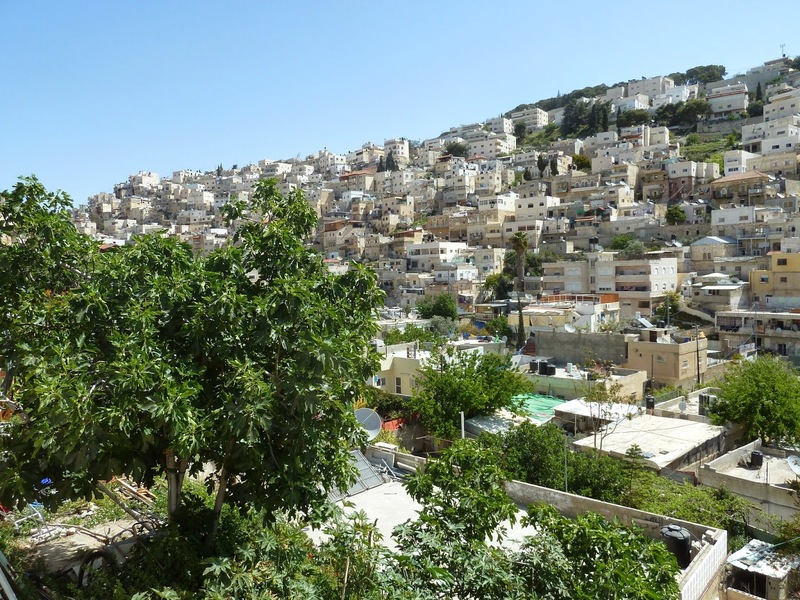 The upper part of Silwan is known as Al-Bustan and the lower as Wadi Hilweh. Until 1967 the area of Silwan was an almost totally Palestinian Muslim area, under Jordanian rule. The families here had owned their properties since Ottoman times. After the six-day war, the area was annexed by Israel and it is the declared plan of the Jerusalem Municipality to have 75% of Silwan Israeli-owned. To this end they are helping illegal Israeli settlers to move into the area, particularly at the end nearest the Old City. We have been told of a variety of ways that the settlers have been able to move in. Some of the houses have been purchased using middle men so that Palestinians are unaware that they are selling to Israelis; some obtained by the forging of documents. Most have been acquired by invoking the Absentee Property Law, a law which came into being after the Nakba of 1948 declaring that any Palestinian property which was empty for three years – or for which no documents of ownership could be produced - could be appropriated by the Israeli State. Many Palestinians have no documents to prove their ownership. Historically, land and property has been passed down informally through families. 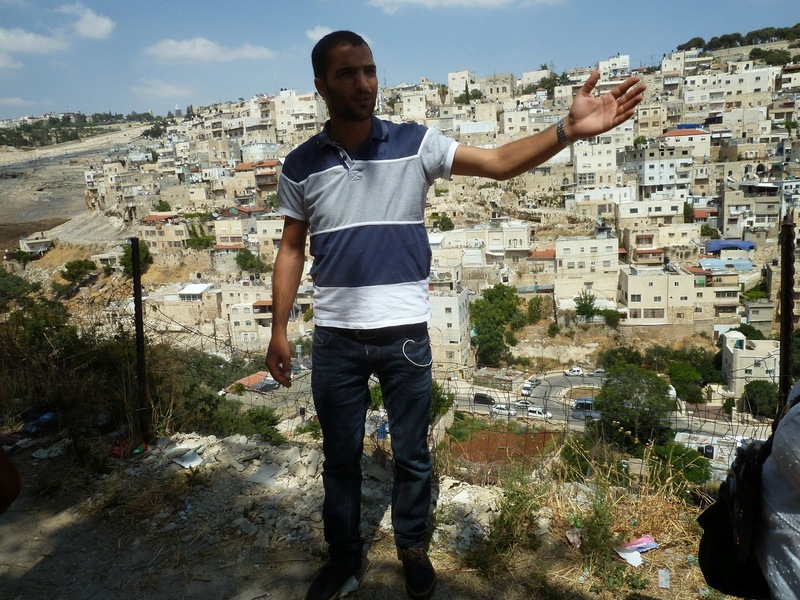 There are now 250 illegal settlers in Silwan. Many Silwan residents have been evicted from their homes and 64% of the houses in the area are under demolition orders. In 2013, 123 houses were demolished in East Jerusalem; most of them were in Silwan. The biggest illegal settler of all is the controversial City of David archaeological park, to be called the Garden of the King. Some Israelis believe that this is the actual location of the biblical city of Jerusalem captured by King David over 3,000 years ago. 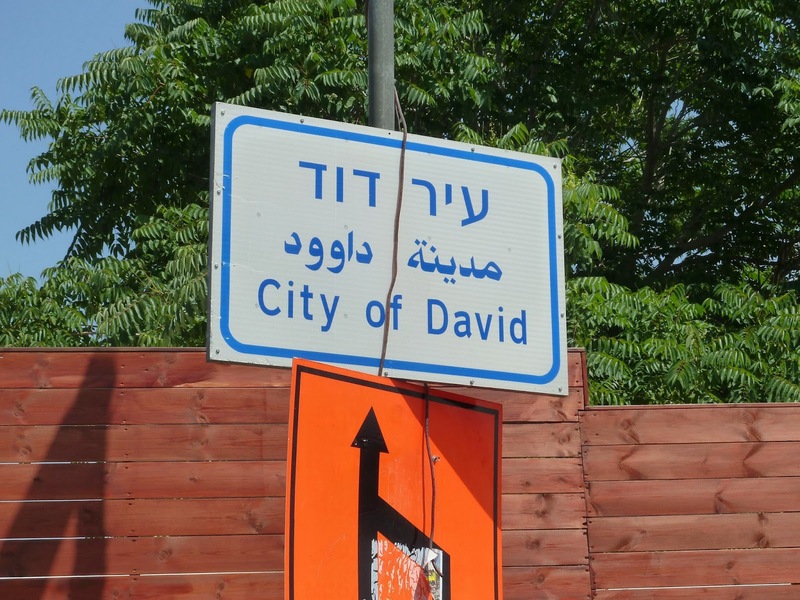 The City of David Foundation (Hebrew acronym, Elad) is dedicated to the preservation and development of the Biblical City of David and its environs. As Rafi Greenberg (University of Tel Aviv professor of Archaeology explained during an alternative archaeological tour) the digs in Silwan are being conducted in the most tendentious way--with bulldozers clearing huge areas in haste and multiple levels being dismantled in a race to get to "Jewish" bedrock. Settlers build houses right on top of relics, and extremely tenuous conclusions are being drawn on the basis of nationalist ideology and a literalist reading of biblical texts, not the actual shards and stones that turn up in the course of the digging. Historical cross sections aren't being preserved. 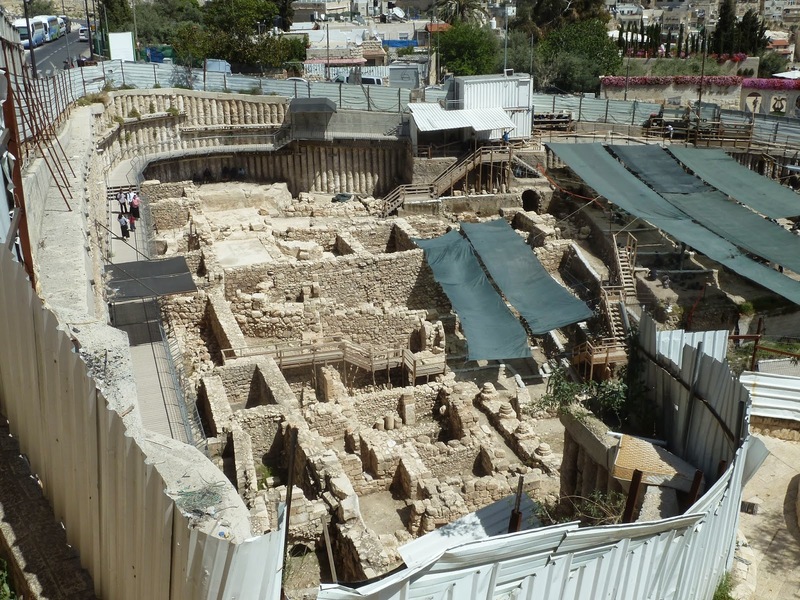 Instead of the usual timetable for a dig-with one season of excavation followed by months in the lab-the City of David excavations are taking place year-round, straining professional standards and leaving no time for careful analysis. It is, says Greenberg, "bad science “. In Silwan the roads are pot-holed and narrow like a refugee camp and the neighbourhood itself is greatly overpopulated. Palestinians residing in Silwan are plagued by poor infrastructure. Even though East Jerusalemites pay 47% of the city’s municipal taxes they receive a mere 5% of the revenue back in benefits. There is no secondary school, no post office and the small number of green spaces they had have been appropriated by Elad and named as archaeological sites, off-limits to Palestinians. 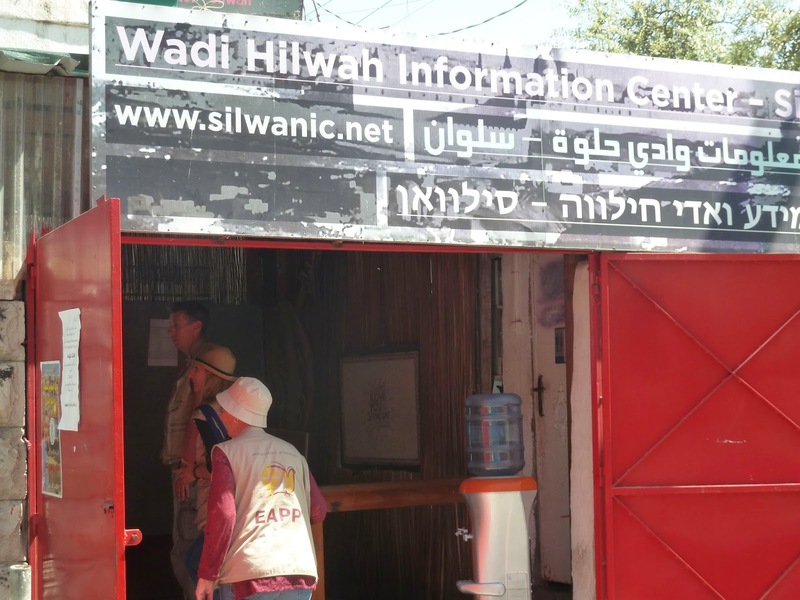 Mahmoud Qaraeen, who works at the Wadi Hilweh Information Centre and conducts tours of the area, says that the Silwanis feel that they are constantly under scrutiny from the Israeli police and army. There are more than 550 CCTV cameras around the area. There are many night raids and child arrests. Both children and adults are frequently assaulted and abused by settlers, the settlers’ armed guards and the Israeli army. There are not enough school places for the children of Silwan and the school dropout rate is 65%, compared to 52% in Jerusalem as a whole. 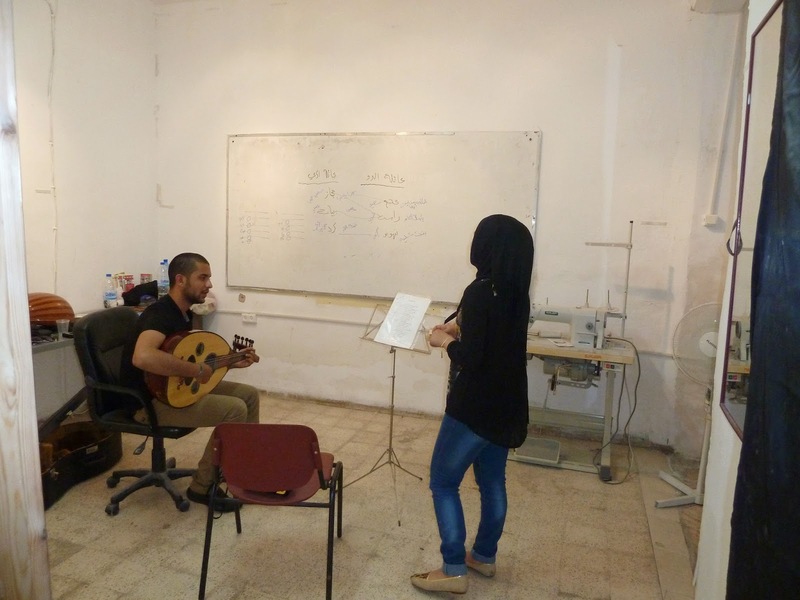 In 2007 the residents of Silwan decided to take matters into their own hands and, with mostly European funding, established the Madaa Silwan Creative Centre, as a means of non-violent resistance. Here women can do courses in cookery, sewing and life skills and children can learn music, dabke dancing, drama and art. It started small but has grown and now has after- school activities for the children, including a computer room and a well-stocked library. More than 200 children per week participate in the activities here and it also provides a safe place for adults to meet and talk. 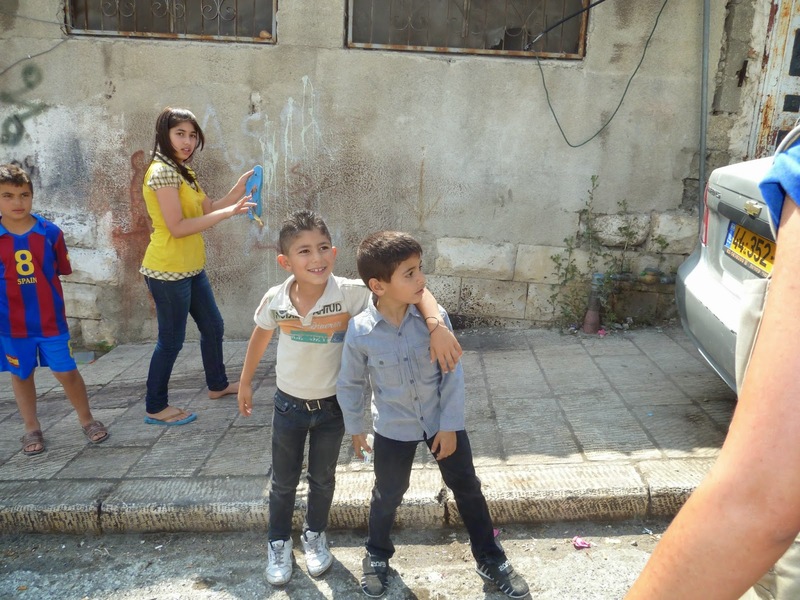 Life is still hard for children in Silwan. 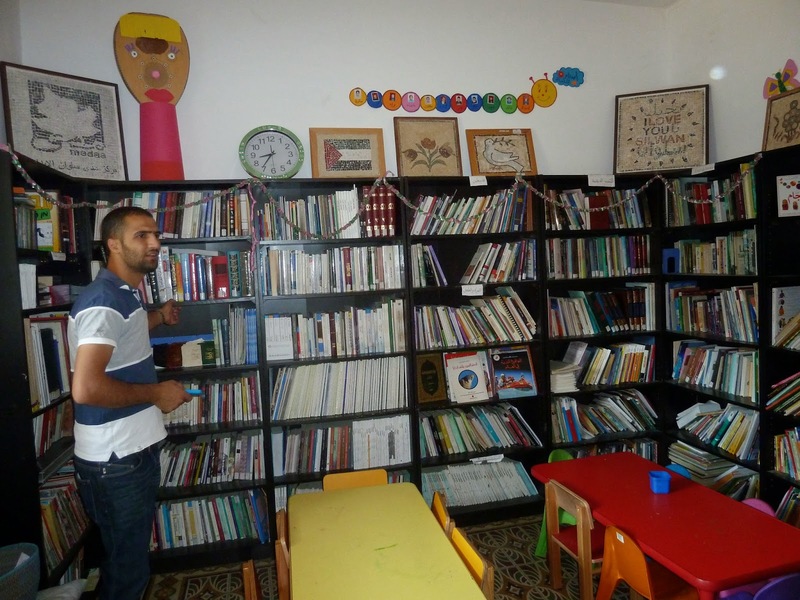 In 2012, Jawad Siyam the General manager of Madaa Centre, formed a Children’s Protection Committee. It came as a result of the frequent assaults and abuses of children, who are often kidnapped and arrested in ways which flagrantly violate the International Convention on the Rights of the Child. Room No 4 is a photographic project which was based on a Madaa report published in 2012: The impact of child arrest and detention. Most clever of all was Elad's decision to fix on archaeology as the key to winning the hearts and minds of the wider Israeli Jewish public. Archaeology has, of course, long been something like Israel's national pastime, a "scientific" discipline that, in this particular cultural context, has often blurred into the realm of major-motion-picture-scale mythmaking (see under: Masada). Since the early days of the state, archaeology has provided vivid settings and props that have helped Israelis both secular and religious to dramatize the stories they like to tell themselves about their historic bond to the modern homeland. The raising of Silwan’s profile by the presence of Hollywood is unlikely to make any positive difference for Silwan’s Palestinian residents. It is much more likely to give strength to the Israeli settlers who some call colonisers. As with many, many of the injustices of the occupation, the international community appears to be turning a blind eye . In the gospel of John, Jesus takes dirt from Silwan and makes a blind man see. Is it too much to hope that it can happen again? I work for Quaker Peace & Social Witness (QPSW) as an ecumenical accompanier serving on the World Council of Churches’ Ecumenical Accompaniment Programme in Palestine and Israel (EAPPI). The views contained in this email are personal and do not necessarily reflect those of QPSW or the World Council of Churches. If you would like to publish the information contained here (including posting it on a website), or distribute it further, please first contact the QPSW Programme Manager for Middle East teresap@quaker.org.uk for permission. Thank you. A short theory of why the caged bird sings.